Price shown includes round-trip air & 6-day adult lift ticket. 7 nights (Sat-Sat) in the ski-in/ski-out Fernie Slopeside Lodge (hotel rooms). 6-day lift ticket, including one day at Kimberly (including the bus ride) and RT air from Washington Reagan National Airport (DCA) to Calgary (details below). Located at the base of Fernie Alpine Resort, Fernie Slopeside Lodge is a comfortable ski in/ski out hotel-style accommodation. Our rooms have cable TVs, a coffee maker and a small fridge. 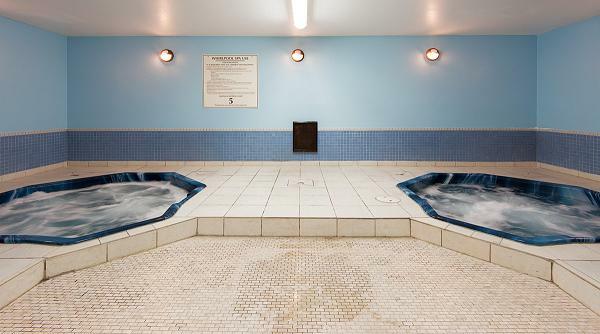 The Lodge features two indoor hot tubs, lockers for ski and board storage, and laundry facilities. 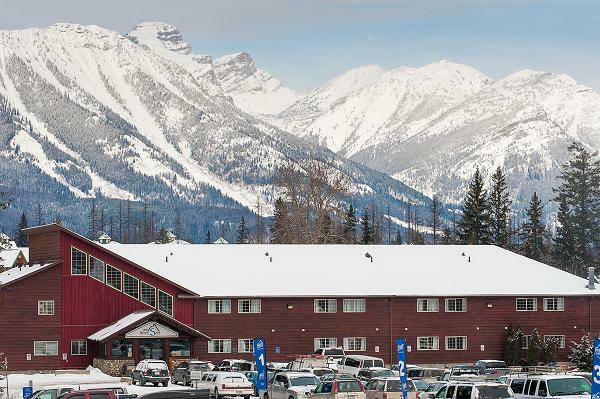 Located steps from the village plaza, including Legends Restaurant and the Slopeside Deli, and 5km from the City of Fernie, the Fernie Slopeside Lodge offers convenience for guests to enjoy all that the Elk Valley has to offer. The listed price includes double occupancy in the lodge and a 6-day (adult) lift ticket (including a day at Kimberly resort). Add $218 for the single supplement if you want a room to yourself. A modest ($55) discount is offered to 65+ seniors. Non-skiers or those holding a “full” Epic Pass save $270 on the package without lift tickets. Note that while the “full” Epic Pass is good for 7 days of skiing at the Resorts of the Canadian Rockies (which includes both Fernie and Kimberly), less costly passes such as the Epic Local Pass and Military Epic Passes do not currently include access to these partner resorts. Outbound flights updated 3/16/19 due to the grounding of the B737 MAX fleet. Note: Air Canada partners with United Airlines under the Star Alliance for accruing frequent flier miles. We will provide our tour operator with your United Mileage Plus number if you have included it in your profile. *Operated by Air Canada Express-Jazz.